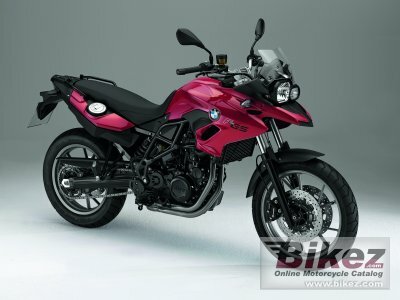 2014 BMW F 700 GS. Picture credits - BMW. Submit more pictures. BMW Motorrad present the latest edition to the GS family, the F 700 GS � which is the direct successor to the versatile F 650 GS, A shorter gear transmission ratio in the 75 bhp engine enhances agility while at the same time guaranteeing the bike�s familiar top-class handling. This makes the F 700 GS an ideal all-round machine within the GS family, suitable for every kind of rider � no matter how experienced. Price as new (MSRP): Euro 768. Prices depend on country, taxes, accessories, etc. Ask questions Join the 14 BMW F 700 GS discussion group or the general BMW discussion group.